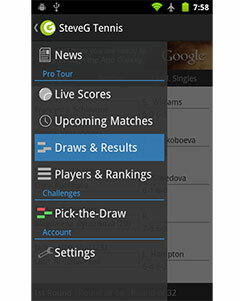 After the second, fifth and sixth seeds in the St Petersburg Open all fell in the first round, the organisers must have breathed a sigh of relief when the tournament’s fourth seed, Italian Fabio Fognini, progressed as the last remaining seed in the bottom half of the draw to get through to the second round. This was a tight match for Fognini who lost the first set to the German Tobias Kamke 6-4, before stitching his game together to win the next two sets 6-2 6-3 in five minutes over two hours on court. Fognini will next take on the unseeded Sergiy Stakhovsky of Ukraine who took out Russian lucky loser Ivan Nedelko 7-6 (7-2) 6-2. 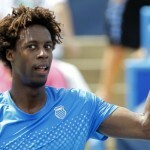 The Polish player Lukasz Kubot, ranked at 76, was the surprise winner against the tournament’s second seed, Denis Istomin of Uzbekistan who is ranked at number 38, in another first round match. This tightly fought battle swung in favour of first one and then the other player and lasted almost two and a half hours before Kubot, who dropped the first set, eventually triumphed 4-6 6-3 6-4. With this win, the Polish player set up a second round meeting with Daniel Gimeno-Traver, victor over Florent Serra of France. The four seeded teams in the small doubles competition at this tournament have all made it safely through to the second round (which is the quarter final round) and all face unseeded opponents.